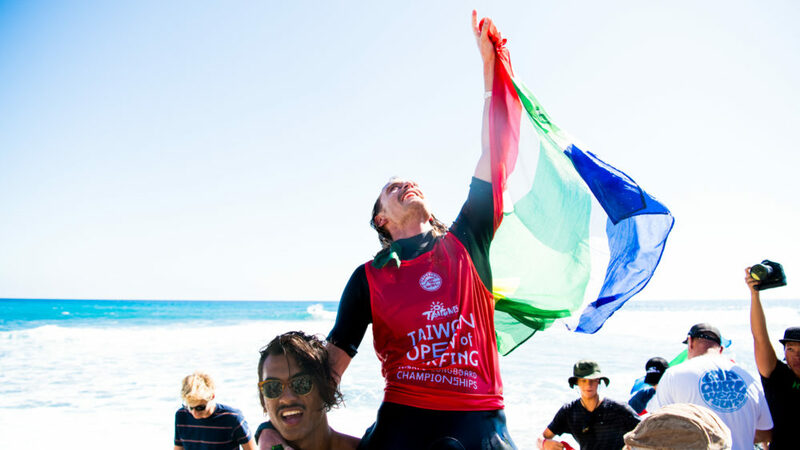 South African Steven “Steezy” Sawyer has just taken out the 2018 WSL World Longboard Championship at the Taiwan Open of Surfing in clean, 2-to-3 foot waves at Jinzun Harbour. Sawyer came up against Longboarding legend Kai Sallas in an incredible 25 minute Final. 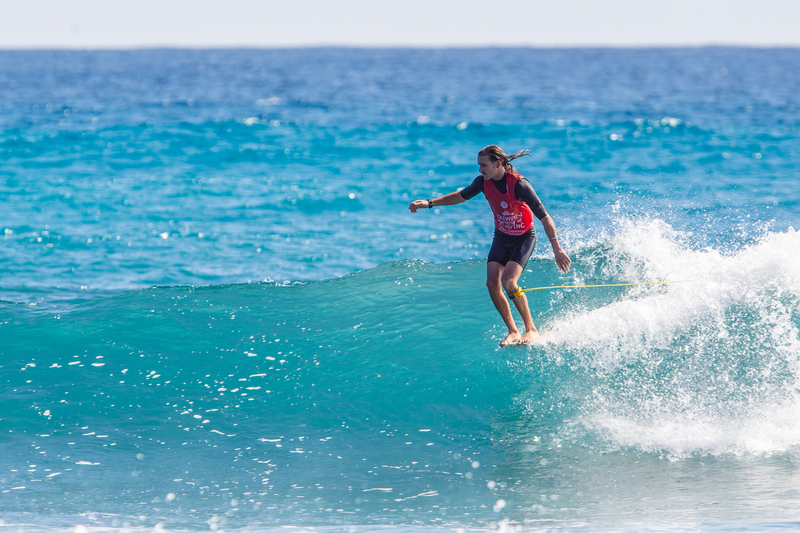 24-year-old Steven Sawyer was on fire all event but saved his best performances for the Final Day, posting excellent heat totals in all three heats, including a 9.50 single wave score in the Semifinal, the highest of the entire event. His combination of traditional longboarding manoeuvres with speed, power and flow were impeccable, and he needed it all to overcome Sallas in the Final to best his runner-up finish at the 2016 World Championship. Sawyer had a massive crowd supporting him on the beach who erupted every time he caught a wave, making the atmosphere electric. Sawyer, who is a proven shortboard surfer as well having competed in the 2017 J-Bay Open Championship Tour event as a Wildcard, was competing on a board shaped by his father that seemed to suit the waves of Taiwan perfectly.